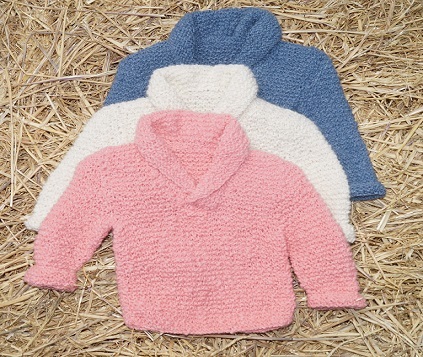 This charming Sherlin's Lil' Tot Boucle Jumper has a rolled collar and is so soft for baby to wear. It is a mix of Alpaca/Wool/Nylon hand knitted to be warm and easy to care for. it comes in a range of colours but if you have a specific colour in mind please contact to discuss.